I am a Certified Police Generalist Instructor and Specialist Instructor in Firearms and Defensive Tactics. Firearms training includes pistol, shotgun, patrol rifle and select fire weapons. I have over 15 years in law enforcement and served from Patrol Officer to Chief of Police. I am an adjunt instructor with the Law Enforcement Training Institute of the University of Missouri, Columbia and with Strategos International. I now operate Defensive Concepts and offer training in CCW and personal protection. Our CCW classes our offered in 3 levels of training. All courses cost $100. I am the Detective and firearms instructor for the Oak Grove Police Department. I also have my own company in which I do armed security, firearms training, and firearms safety training. I have been in law enforcement for approximately 12 years and involved in armed security work for an additional 9 years. I've been a firearms instructor in handguns, shotguns, patrol rifles, and select fire weapons for 6 years. I am also S.W.A.T. trained and trained as a Police Marksman. I have been a CCW Instructor for over two years. I have been a Police Officer Certified Post class A license since 1993 and a full time police officer since March 1994. 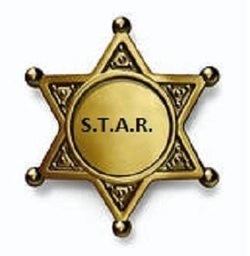 I was a reserve officer from 1990 to 1994 I have Taught DARE in the classroom since 95/96 school year. Mr.Richards has been in Law Enforcement for over twenty years. He has performed a wide range of duties from being a Deputy Sheriff to administrating a department. He began as a Law Enforcement Instructor in 1996. He has instructed Police Officers in OC, ASP Baton, Manodanok PR-24, Handgun and Shotgun. Mr.Richards is a NRA Certified Law Enforcement Handgun Instructor, NRA Certified Law Enforcement Shotgun Instructor and a NRA Rifle instructor. I am a former Law Enforcement Officer with a combined experience of over 15 years in Law Enforcement, I have been an NRA certified Law Enforcement handgun/shotgun Instructor since 2002.